researchers have made a breakthrough in updating classic, black & white hand-drawn cartoons to make them appeal to a generation of viewers brought up on a diet of 3D computer animation. They believe it will herald a new era in cartoon animation. 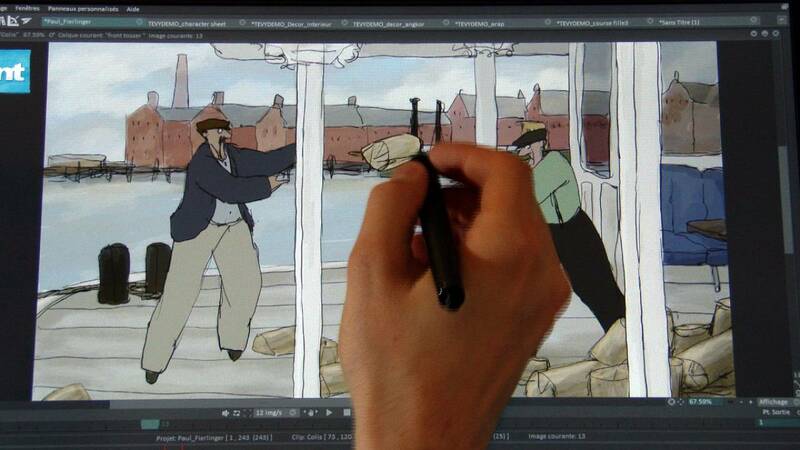 Scientists at this EU-supported research project realised that the same software could be used not only to restore old animations, but also to boost the technical and artistic possibilities of 2D animation-making. The software was designed to be flexible, so it can be used for painting in various drawing styles. It allows for precision drawing, but with less manual effort from by the artists. “As far as I understand, I will also be able to use animation on paper in my film hand-drawn films,” says Zuzana Studená, an animator witt Anifilm . “This is a lovely technique that I really like, and up to now it’s something I’ve missed out on with existing graphics tablets”. “In animation, everything takes a lot of time. But with programmes like this we’ll be able to go much, much faster; that’s certain. We’ll be able to have a bit more fun”. The software has just been marketed as a commercial plug-in in an existing graphic design programme. Experts hope it will be a first step towards making the European animation film industry more competitive. .
“We’re now able to colour whole sequences, dozens and dozens of pictures with just one stroke of the brush – something we were not always able to do before, says Fabrice Debarge, a product manager with TVPaint, which also using the new software.